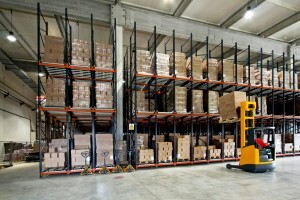 Home » Blog » What Is the Difference between Inventory Management and Warehouse Management? Inventory management is a collection of processes that deal with supply chain management, demand forecasting, inventory control, and reverse logistics. It is usually the first step taken before warehouse management. Tools involved in inventory management include safety stock, economic ordering quantity, cost of goods, inventory turnover, customer-managed inventory, and vendor-managed inventory. The extent of inventory management required depends on each industry, but most of these concepts remain the same. For small businesses, inventory management is most effective when companies understand all the details involved. Lean practices should always be applied to every part of the cycle to reduce investment in standing inventory, plant rental, shipping costs, and reverse logistics. 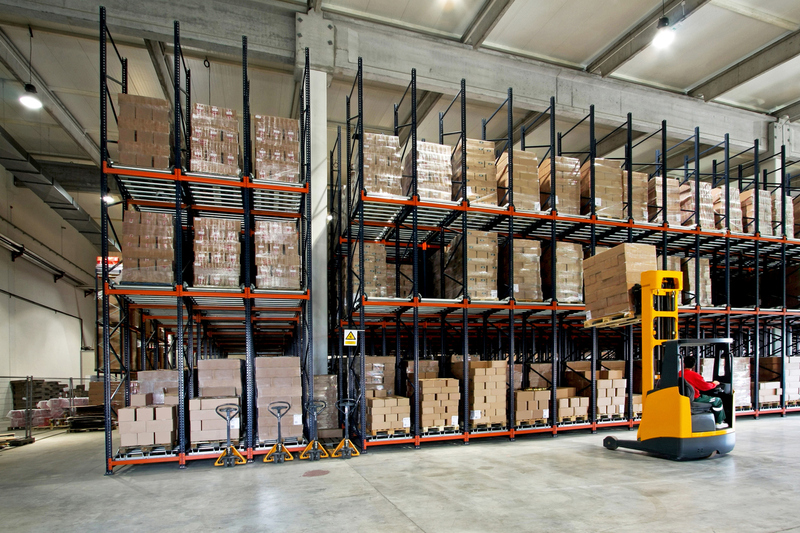 Warehouse management aims to control the storage and movement of products and materials within a warehouse. The system or software application that manages these operations is known as a warehouse management system (WMS). WMS programs allow for centralized management of warehouse management processes, such as inventory tracking and stock locations. Older WMS systems provided simpler functionalities like storage locations, but current warehouse operations applications can be so complex that they require a dedicated team to run them. What Are the Similarities between Them? Both inventory and warehouse management systems enable companies to use barcoding devices to track parts and products within the warehouse, monitor product levels, pick, pack, and ship items, manage various locations, receive orders into inventory, and perform cycle counts. Companies that integrate inventory management solutions with warehouse management software benefit from knowing that their entire warehouse is visibly and properly managed. There are many notable differences when it comes to inventory management vs. warehouse management. The most notable difference between inventory management solutions and warehouse management systems is their complexity. Inventory management systems take a simpler and broader approach by providing you with the total amount of inventory in one specific location whereas warehouse management systems tend to be more complex and divide warehouses into multiple compartments and bins. This allows you to manage the entire storage system within the warehouse rather than one particular location. Warehouse management systems also allow you to find specific items in the warehouse while inventory management solutions simply inform you that they are somewhere in the warehouse. Additionally, warehouse management is essential to the ongoing operations of other departments, unlike inventory management. Below are some other key ways the two systems differentiate. Inventory management systems are typically simpler as they indicate the total amount of stock products or materials for each specific storage location. Warehouse management systems are slightly more complex—they allow companies to manage entire storage systems within an entire warehouse. If a warehouse has multiple storage sections of the same product, WMS can help manage all of them, but an inventory management system will only be able to provide information as to how much of the specific product is there. Inventory management is usually the first step in all of the processes that take place within a warehouse; however, warehouse management is more connected to the other aspects of the entire management system. WMS deals with production supply, sales and distribution, and quality management. It is integral to ongoing operations. With inventory management, companies can only know that they have a certain product in stock and its quantity. Warehouse management, however, allows companies to find specific locations where the inventory is stationed. WMS gives companies much more control over their operations as it provides them with more information required to complete other duties. WMS offers businesses the opportunity to analyze and make adjustments to inventory and storage when needed while inventory management systems do not provide this feature. Useful communication devices used in WMS make it possible to make these variations and gain a greater understanding of inventory and location of products, which results in a more efficient and streamlined operation. Get Inventory and Warehouse Management Help from APS Fulfillment, Inc. Taking the time to change and improve your warehouse and inventory management processes will make life easier for you and your employees in the long run and will lead to greater efficiency and profitability for your business. If you want to learn more about the benefits of each management system, or want help improving your warehouse operations, the team at APS Fulfillment, Inc. can help you. Our professionals provide our clients solutions to meet their warehouse organization needs. We provide services such as e-commerce fulfillment, product fulfillment, direct mail marketing, fulfilment solutions, and fulfillment markets. There are endless benefits to working with a third-party logistics company that uses top-quality software systems to manage your warehouse. So, if you’re looking for the right company, look no further than APS Fulfillment, Inc.
You can contact us by e-mail at [email protected] or by phone at (954) 582-7450.